The perusing continued on the second day of Outdoor Demo, with still more products to be seen and more gadgets to be photographed. Fresh shoes, redesigned brakes and of course, innovative electronics were all part of the fun in the south Nevada desert. 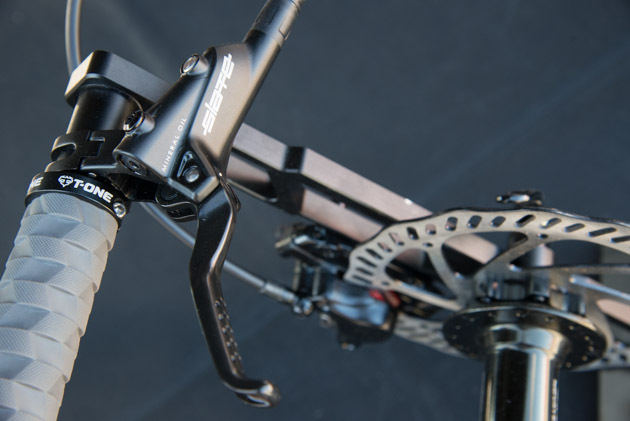 Lapierre Bikes are continuing their electronic advancements with EI (Electronic Intelligence) suspension systems. Now in its second generation, the biggest design change comes with the redesign of the controller/sensor. They got rid of the handlebar-mounted computer screen and replaced it with a new controller/sensor that mounts to the stem, which features an on/off switch and a button to select one of three settings: open, medium and locked. 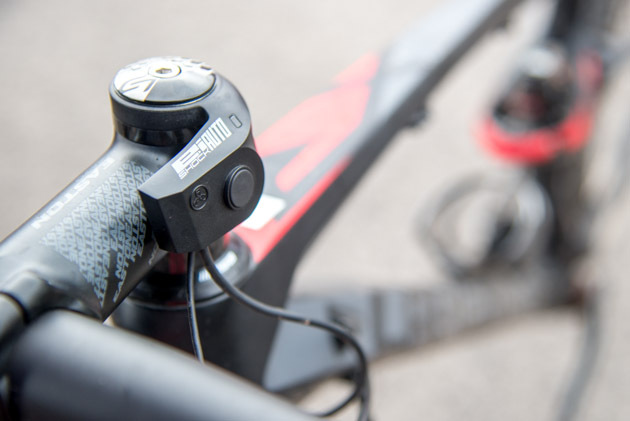 The technology senses acceleration in the front fork, as well as pedal frequency, and within 1/10 of a second, automatically adjusts the rear shock. Lapierre says this system will eliminate the need to adjust the shock on the trail. 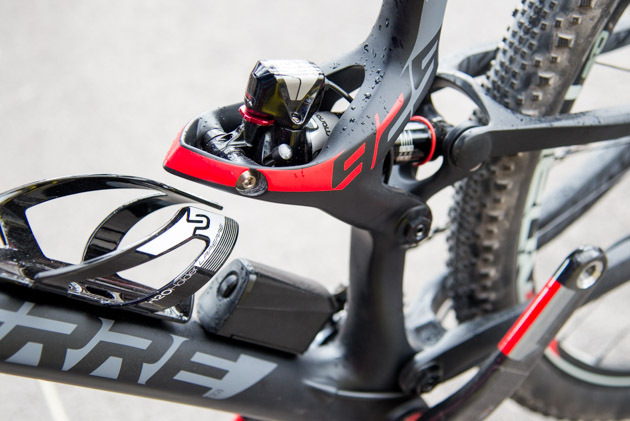 Slimming down: New for this year, Lapierre’s EI system no longer has a computer screen and is attached to the headset. The EI runs off a battery pack that’s attached to the downtube. If the battery dies, the shock defaults to its ‘open’ setting. 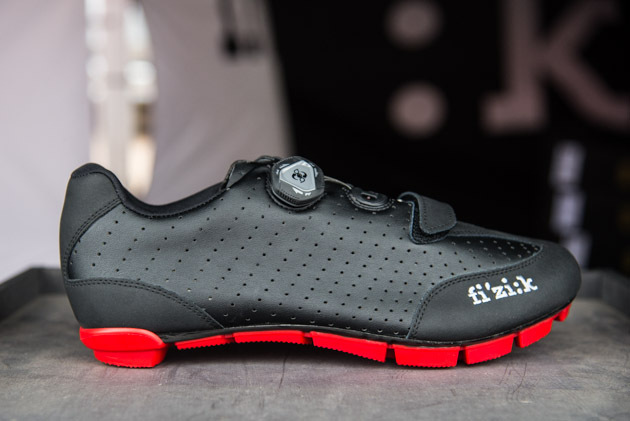 New for 2015, Fizik’s M3b is a lightweight, slick-looking shoe. At first glance it resembles a road shoe, but with grippy lugs underneath, it seems like it wouldn’t slip around much when the occasional hike-a-bike presents itself. Price: $275. These new Fizik kicks aren’t just sleek and flashy, they also feature the Boa closure system. Chris King will be dipping its parts, including the new Cannondale Lefty Max hub, into a fresh new ‘Candy Apple’ anodization bath. 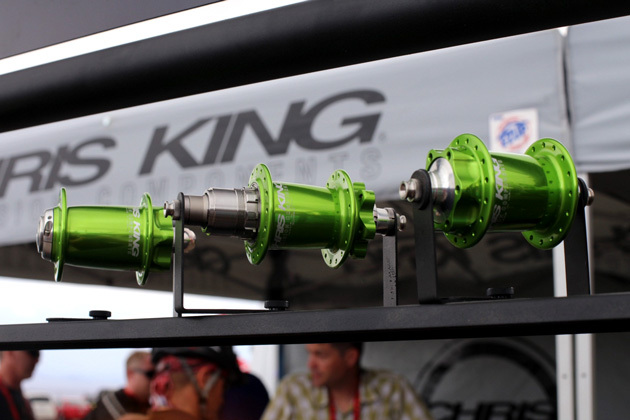 Also, in case you haven’t heard, King Hubs are available with a SRAM XD freehub. There was no caramel in sight. There are plenty of reasons to decide to leave your pack at home. 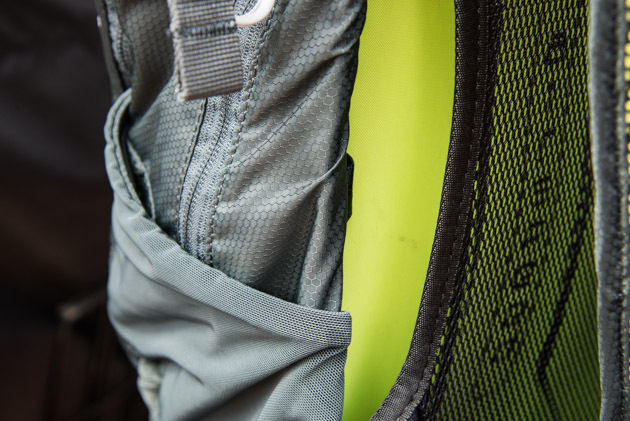 One of those reasons being, “It’s too hot.” But Osprey Packs has implemented a new back panel, Airspeed, with their latest iteration of the Syncro that allows ample airflow through an open-mesh, back-panel system. The 2nd generation of the Syncro 15 features Osprey’s ubiquitous helmet clip, a rain fly and the Airspeed back panel, among other things. 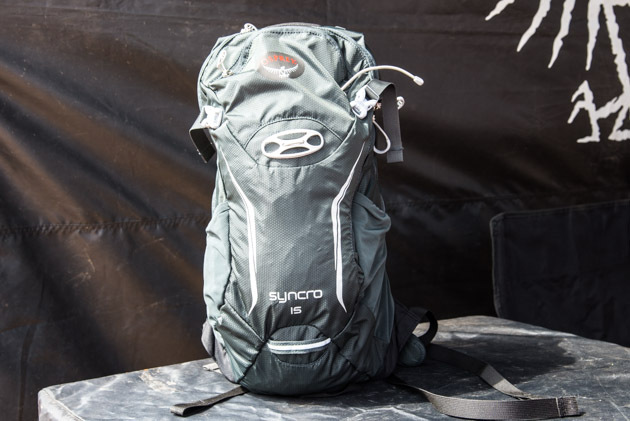 The Airspeed back panel keeps the body of the pack away from the back, which allows more airflow. We don’t have to tell you that the POV camera market has taken off. More and more helmets come equipped with camera attachments, there are handlebar and seatpost attachments found everywhere and the chest-mount shot is seen in almost every video these days. 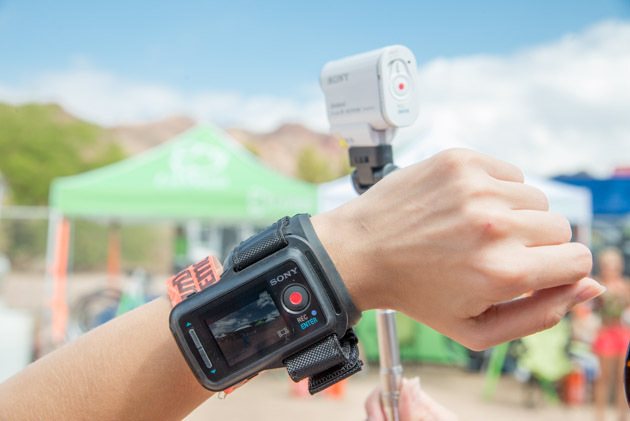 The third generation Action Cam is lightweight, has a plethora of mount options and new for this year, no longer needs an additional case to make it splash proof. The live-view wrist mount allows for easy adjustment. 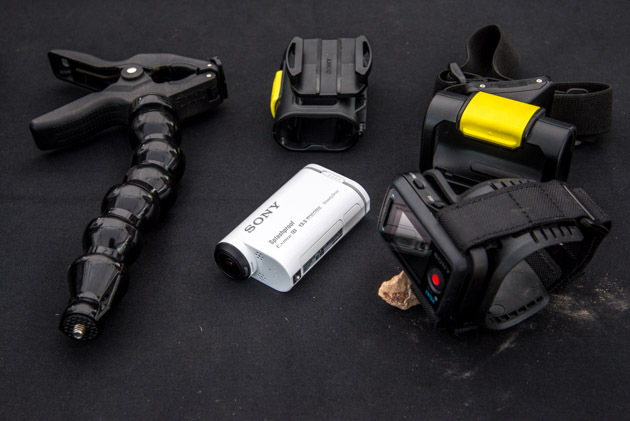 For $299, the Sony Action Cam comes with two helmet mounts. For an additional $100, it comes with the live-view wrist mount. And if that’s not enough, additional attachment accessories range in price from $30 to $40. 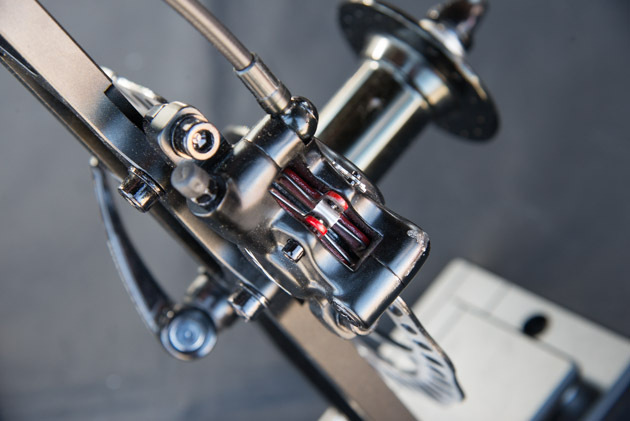 This completely new brake for 2015 runs off of mineral oil, has top-loading pads on the caliper and has design elements that upon first glance, eerily resemble a Shimano brake. Based in Ogden, Utah, TRP has worked hard to keep their brakes reasonably priced, and the Slate doesn’t fall short in that respect. It will sell for $160 per wheel and includes rotors in 160-, 180- or 203-millimeters sizes. Weight: 352 grams per wheel. The clean lines and black finish will look good on any number of bikes. As for performance, only time will tell. If you were wondering if pads were going to be an issue, don’t worry, Slate is compatible with Shimano Deore pads. The Torbal M200 gets a stiffness rating of 8 on Shimano’s scale of 4-11, so they’re pretty stiff. However, the shoes have some side-to-side flex, so they roll with the foot as riders maneuver their bikes. On the bottom, the lugs utilize a few different types of rubber depending on placement. The red rubber is a bit harder and placed in high-wear zones, while the black lugs are softer, providing added security. For retention, there’s a speed lace protected by a Velcro strap for the lower foot and a ratcheting buckle at the top. The Torbal M200 is far from the first shoe in this category, but it’s got serious promise, and at $180, it packs more features than shoes twice the price. 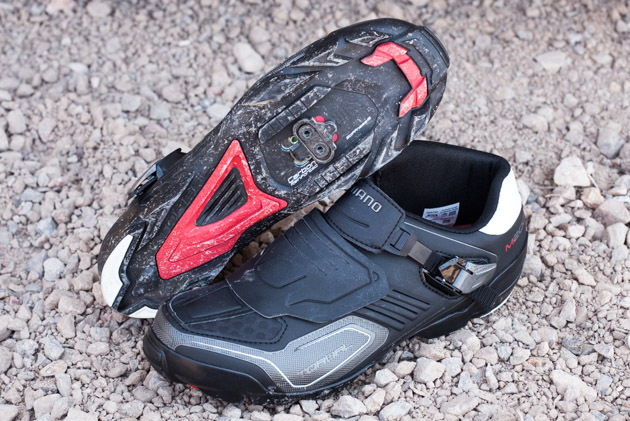 Like all Shimano shoes, the new Torbal M200 is carefully and meticulously designed for its intended use, enduro.